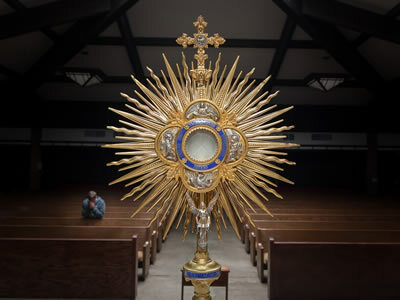 Adoration Takes Place: From after the 9:00am Mass until 11:00pm, Monday thru Friday. Overnight Adoration takes place every First Friday of the month until Saturday morning 8:00am Mass. Every Sunday from 3:00pm until Monday morning before 7:00am Mass. For more information or to sign-up for an hour, contact Lucille Hess at 908-788-5988.